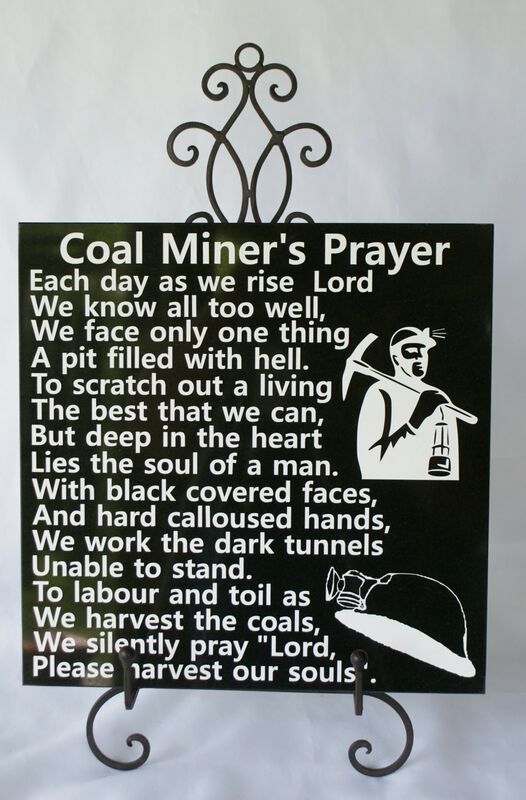 This Coal Miner's Prayer makes a wonderful gift for any coal miner or a touching memorial for a miner's family. 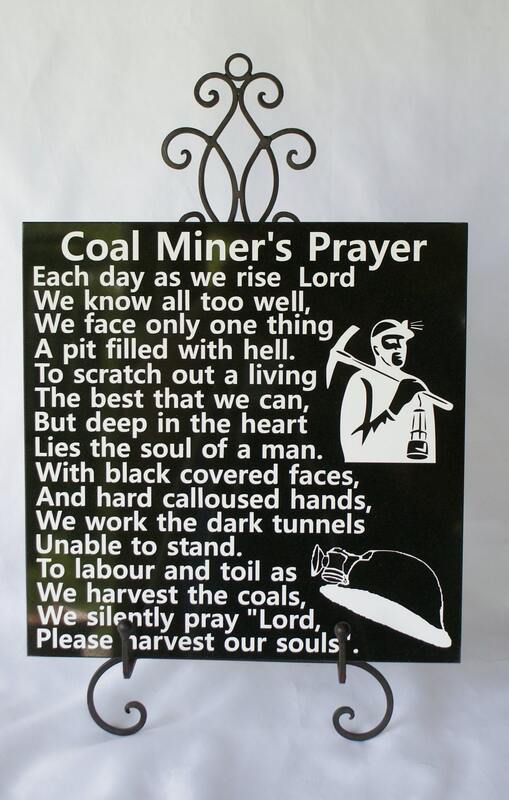 These men and women work in a very dangerous and dirty environment and they do whatever it takes to support their families. 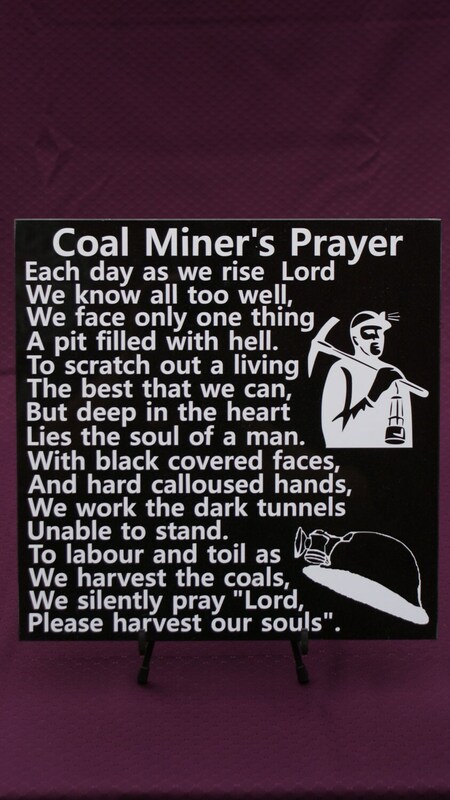 Coal miners are a breed all their own. 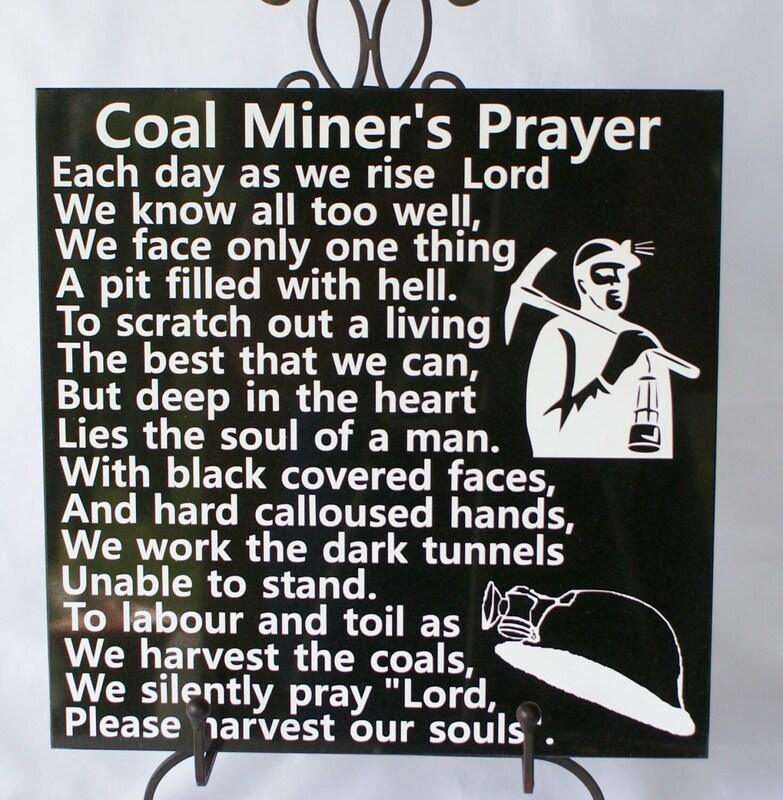 This black granite plaque measures approximately 12" x 12" and weighs between 7 and 8 pounds. Easel is not included. If you would like to purchase an easel, please let us know and we will be happy to give you a quote on the easel that we recommend with for this piece. We pride ourselves in giving outstanding customer service!